We, "Ganpati Enterprise", established in the year 2002, are engaged in supplying, Manufacturer, Wholesaler, Trader a qualitative assortment of Electrical Mats, Insulating Rubber Mats, Electrical Rubber Mats, Hydraulic Hoses, Rubber Sheets, PVC Water Stopper, etc. Owing to their easy installation, accurate dimension, sturdy construction, durability and resistance to impact & abrasion, these Rubbar Mats and Hydraulic Hoses are highly demanded transportation of fluids from one place to another in various industrial applications. In addition to this, the offered Industrial Hoses and Rubber Mats are available with us at industry leading prices. We have set up a huge infrastructure for meeting the precise needs of our valuable customers in the most efficient manner. To precise engineer the offered range of Electrical Rubber Mats as per the industry set norms, our engineers make use of genuine quality rubber and latest equipment. 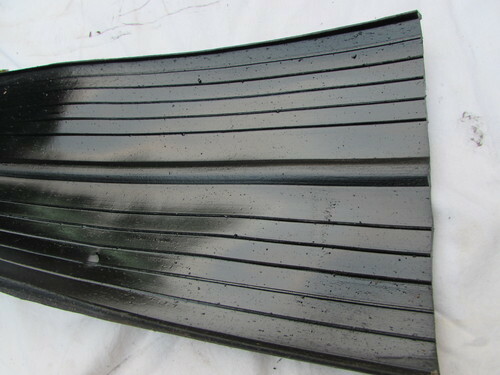 As per the specifications, sizes, requirements provided by the customers, the offered Rubber Mats and Hydraulic Hoses are highly demanded in the market.